Every year west bengal staff selection commission does lot of recruitment exams, Earlier Combined Graduate Level (CGL) Admit Cards recruitment written exam uploaded online on 25 March 2015. The WBSSC CGL written examination is taken on 12 April 2015 (01.00 pm to 02.30 pm). Also (WBSSC) admit cards for Fire Enginer Operator/ Driver (FED) 14 & Cook/ Baker (CB) 14 written exam available online on 18 March 2015. The written examination is taken on 29 March 2015 (12.00 noon to 01.15 pm). 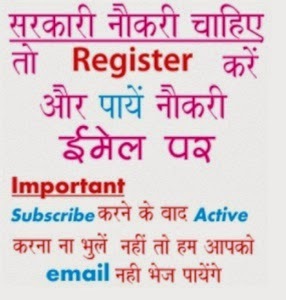 Attendants can get admit card from wbssc.gov.in or link given below…………………. How to Download WBSSC Exam Admit Card? Applications are invited from Eligible Candidates for the Post of Store Assistant, Deputy Ranger, Data Processing Assistant, Investigator, Junior Technical Assistant at Staff Selection Commission, West Bengal Employment Notice January 2014. The online notification is given at www.wbssc.gov.in. More details of WBSSC Recruitment 2014 regarding salary, qualification and how to apply etc is mentioned below………………. (i) Knowledge of making bulk purchases through tender or through Director General of Supplies and Disposals. (ii) Knowledge of Central Government rules and regulations. a) 12th Standard or its equivalent or trained Forester or Trained Forest Guard from the Regional forest school. b) Should have atleast 02 years experience in Forest Survey/working plan organization/Forest Resources Survey work in State Forest Department. i) Degree of a recognized University with Science, Mathematics, Economics, Commerce, Statistics or equivalent (One of the subjects or equivalent needs to be studied apart from all other subjects in the degree course). ii) Diploma or Certificate in Computer Application from a Government recognized institution or knowledge of programming, System operations and systems analysis to be judged through suitable tests. ii) Two years experiences in Research work in Linguistics or Scrutiny and Compilation of Language Data of Census including investigation and preparation of reports on Languages or Dialects or Mother Tongues. (ii) Two year?s experience in the testing and evaluation of Civil Engineering material in a laboratory. Pay Scale: INR PB-2 Rs. 9300 to 34800/- Plus Grade Pay Rs. 4200/- per month.